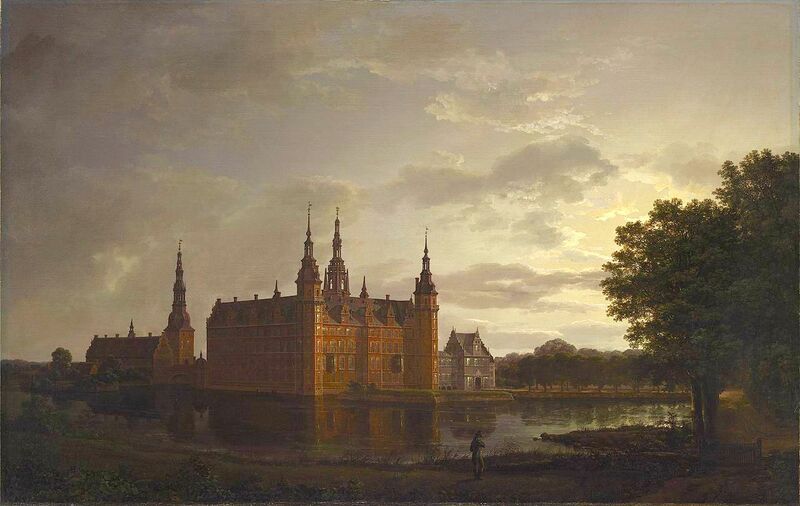 Johan Christian Dahl – Nasjonalmuseet for kunst, arkitektur og design NG.M.01243b. 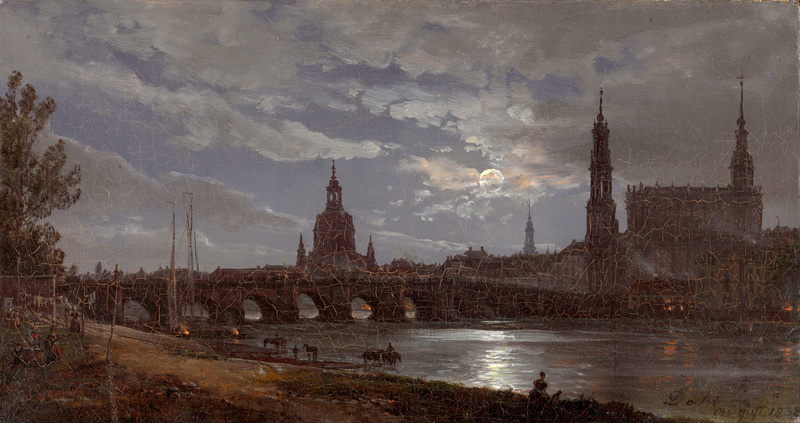 Title: View of Dresden by Moonlight. Date: 1838. Materials: oil on canvas. Dimensions: 34.5 x 18.5 cm. Nr. : NG.M.01243b. 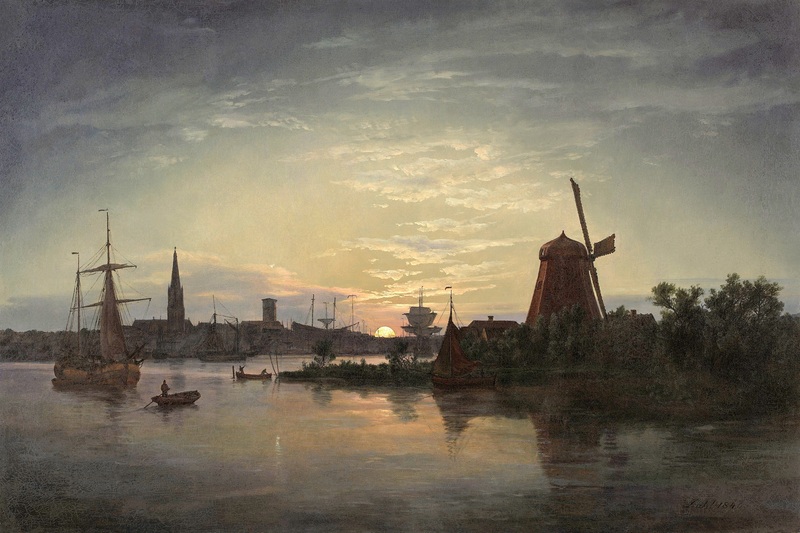 Source: https://upload.wikimedia.org/wikipedia/commons/a/a6/Johan_Christian_Dahl_-_View_of_Dresden_by_Moonlight_-_Google_Art_Project_%28NwHK-NsdInFfMQ%29.jpg. I have changed the light and contrast of the original photo. 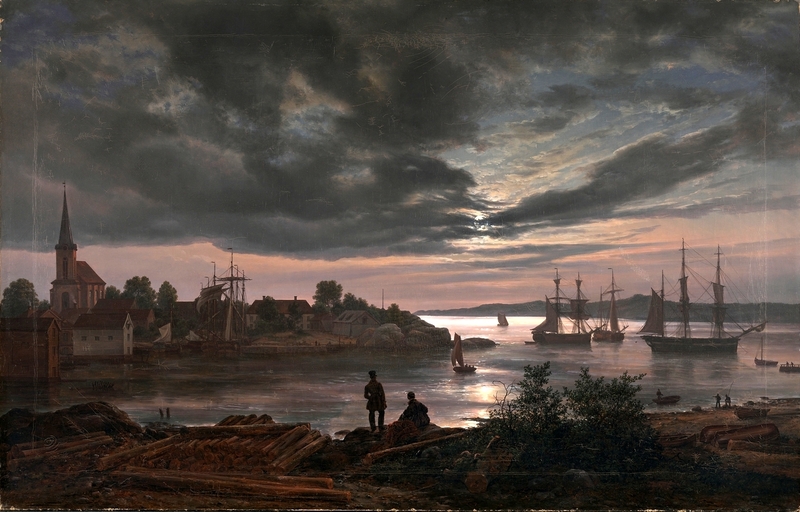 Johan Christian Dahl – Neue Pinakothek. 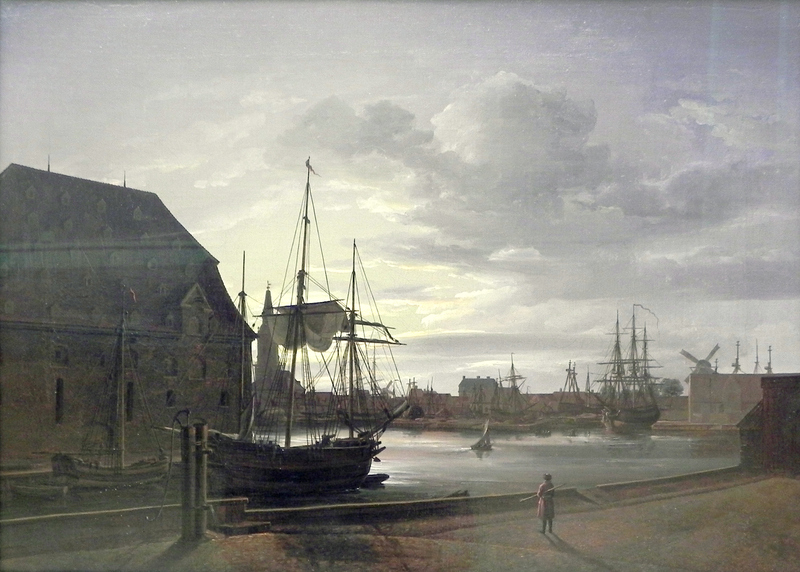 Title: Frederiksholms Canal in Copenhagen with Christian IV’s Brewery. Date: 1817. Materials: oil on canvas. Dimensions: 42 x 60 cm. Source: https://commons.wikimedia.org/wiki/File:Johan_Christian_Dahl_Frederiksholms_Kanal_(1).jpg. I have changed the light, contrast and colors of the original photo. Materials: oil on canvas. Dimensions: 99 x 156 cm. Acquisition date: 1839. Nr. : NG.M.00034. Source: http://dms04.dimu.org/image/012uM2rSxtEH?dimension=1200×1200. I have changed the contrast of the original photo.